NEGROMANCER 2.0: Image Comics Has a Second Printing on the "Horizon"
Image Comics Has a Second Printing on the "Horizon"
Image Comics/Skybound Entertainment is pleased to announce that the newest original series by Brandon Thomas (The Many Adventures of Miranda Mercury), Juan Gedeon (Ghost Racers), and Frank Martin (EAST OF WEST) launched to frenzied fan enthusiasm last week and is being fast-tracked to a second printing. 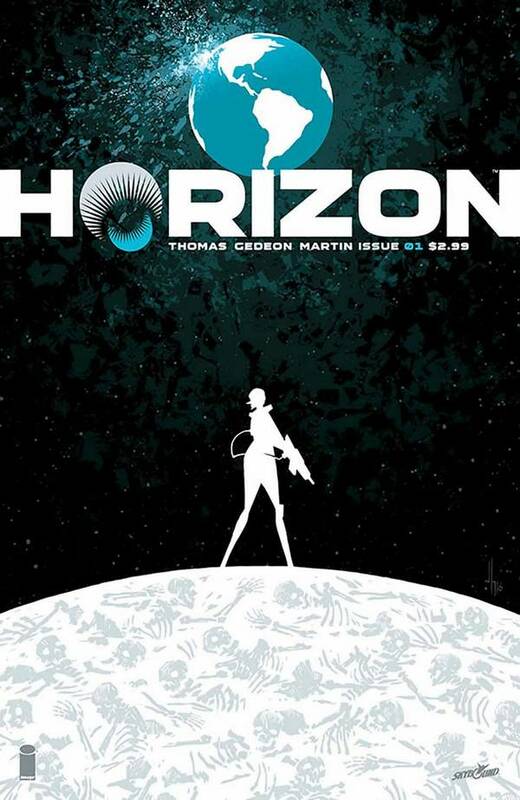 In HORIZON #1, Zhia Malen thought she’d fought her very last war, until she learned her planet was targeted for occupation… by a desperate world called Earth. The people of Earth will be told that her arrival on their planet means invasion; these are lies, this is retaliation. HORIZON #1, 2nd printing (Diamond Code JUN168639) and HORIZON #2 (Diamond Code JUN160631) will hit comic book stores on Wednesday, August 17th, 2016. The final order cutoff deadline for retailers on both is Monday, July 25th, 2016.